Best depiction of actual Grunt life I've ever seen. Another great one ! Remember renting that on VCR many times in high school. The Sand Pebbles, although it gets enough play on various TV channels that I wouldn't necessarily call it forgotten. Good movie about gunboat diplomacy in China back in the '20s, it might be a bit long at about 3 hours, but it is still worth watching. One of Steve McQueen's better roles. I know, I have a first edition of it. One of the best movies ever made !!! Have the special edition DVD set. Three of my favorites from the 60s - "Dr. Zhivago" - "Lawrence of Arabia" and "El Cid". He's still the King of Cool, almost 40 years after he died. 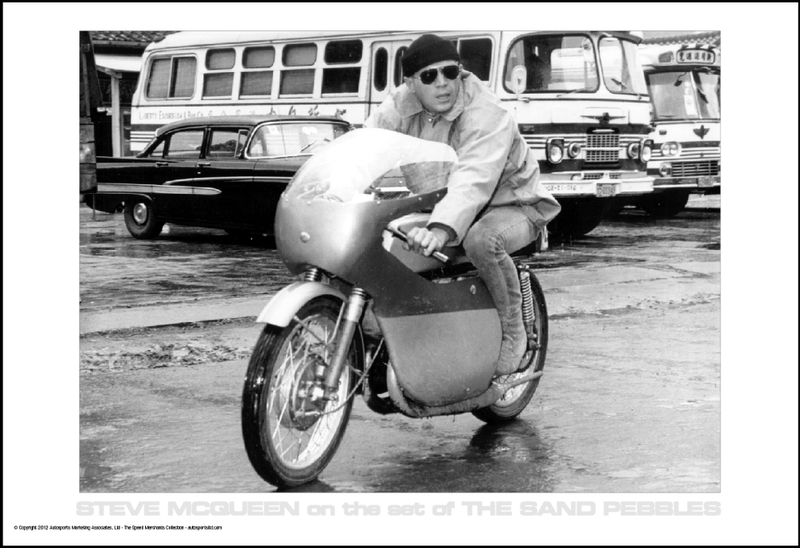 Here's a great shot of him on a cafe racer during the filming of the Sand Pebbles. Uncommon Valor is one a lot of folks forgot about. Yeah...Sailor dancing to Cream in the sunset--classic. One of my top five movies! Had mentioned before, besides being a great movie it hold a lot of sentimental value as my father took me to see it for my 16th birthday. ^^^ Is this the one where a team of ex-mil is put together to go into VietNam to extract some POWs? Where one of the guys wore a grenade as a necklace? Yup...That was 'Sailor' played by Randall 'Tex' Cobb (former boxer with a tough heart, iron jaw, broken nose, but little in the way of talent). He played a pretty good bad guy in Raising Arizona also. Lucky Stiff (from 1988, not the very different movie by the same title from 2015). A gorgeous babe (Donna Dixon) picks up an unlikely schmuck at a ski lodge and wants to take him home to her family for Thanksgiving dinner. Even after he arrives and everyone is very open about their intentions, the running gag is that he remains utterly oblivious to the fact that they are a family of cannibals and he is the main course. ETA: It was written by the same guy who wrote The Naked Gun and was directed by Anthony Perkins of Psycho fame.